15 Keto Breakfast Shake Recipes: Morning Packed with Flavors & Nutrients! 15 Keto Breakfast Shake Recipes: Packed with Flavors and Nutrients! Some of us need a swift and simple way to get all our nutrients to start the day. Don’t fret! We’ve got you covered. Here’s a list of 15 keto breakfast shakes just for you! This recipe for Low Carb Mint Chip Protein Shake from Always Order Dessert will delight your palate. Hass avocado, whey protein, unsweetened dairy-free milk, heavy cream, peppermint extract and dark chocolate form a refreshing and luscious beverage for your busy mornings. Sweet, nutritional and healthy – it’s the best way to have your breakfast. 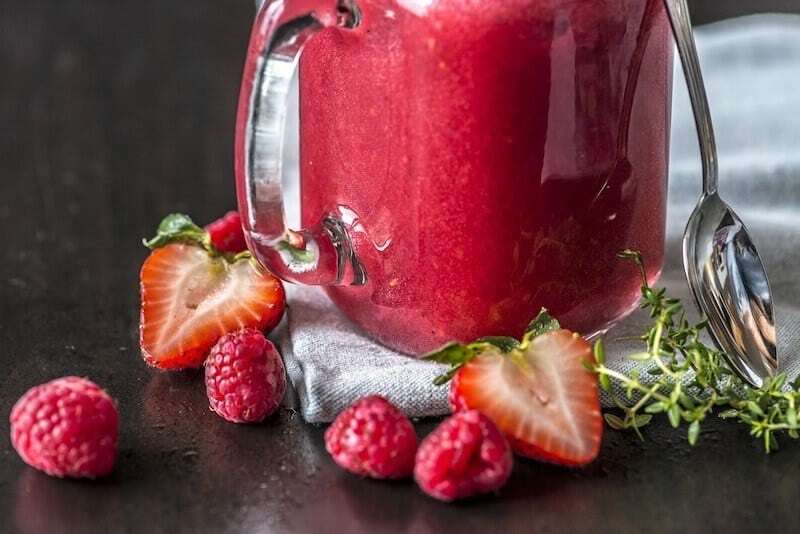 Appetite For Energy combined unsweetened almond milk, heavy cream, low-carb protein powder and raspberries to create Raspberry Keto Protein Shake. You can even use this recipe with other berries! Would you believe me if I told you this low carb version is as good as McDonald’s? Gnom-Gnom provides us with this Paleo & Keto Shamrock Shake recipe. This breakfast shake is made using full-fat coconut milk, avocado, vanilla extract and mint extract. The best part about this is, you don’t need to wait for St Patrick’s Day! Gnom-Gnom cracked the formula for a fool-proof chocolate milkshake for low carb diet! This Paleo & Keto Bulletproof Chocolate Milkshake uses full-fat coconut milk, avocado, cacao powder and vanilla extract. Even better? Add in chia seeds and MCT oil to ramp up the flavor! Another chocolate shake recipe for all the chocolate lovers! 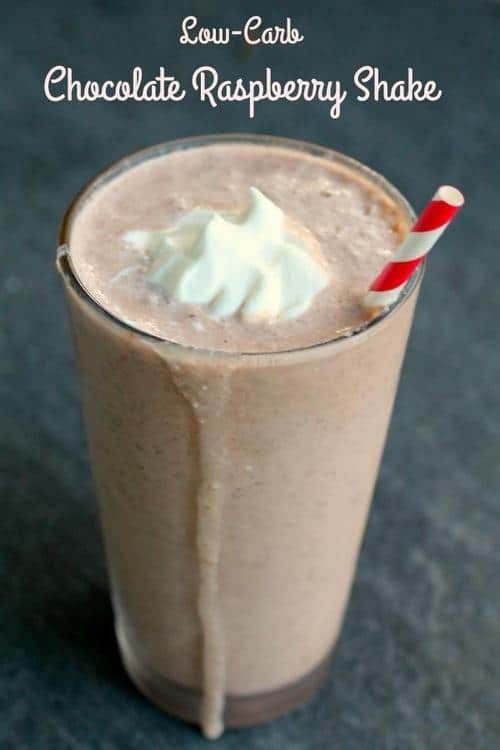 The Skinny Fork published a recipe for Keto Chocolate Peanut Butter Shake. The beverage combines peanut butter, chocolate, unsweetened almond milk and chocolate protein powder. Make this smooth and creamy breakfast shake to power the rest of your day! Cotter Crunch created a Creamy Cocoa Coconut Low Carb Shake for you to indulge in a few extra carbs for your morning workout. Grab your MCT oil, fat coconut cream, unsweetened almond milk, cocoa powder and creamy almond butter to complete this cold beverage. Looking for Nutella flavored shake? 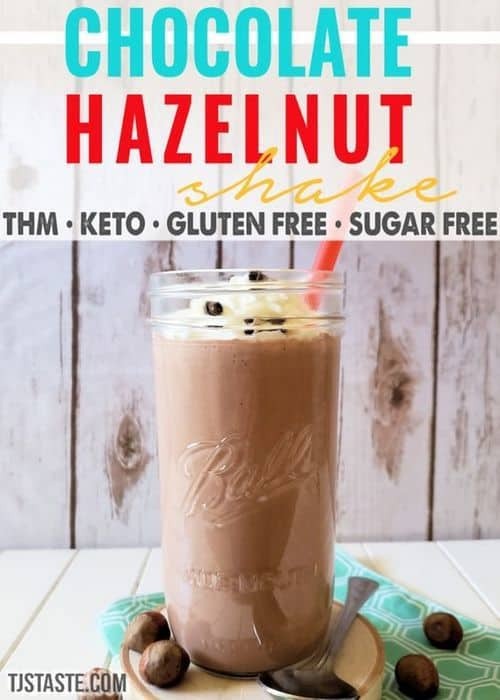 TJ’s Taste created a Chocolate Hazelnut Shake that tastes just like Nutella! Make it in your own home with almond milk, plain double-fermented milk kefir, unsweetened cocoa powder, whey protein powder and hazelnut extract. Enjoy your favorite morning refreshment guilt free! This recipe for Blackberry Chocolate Shake originates from Ruled.Me. 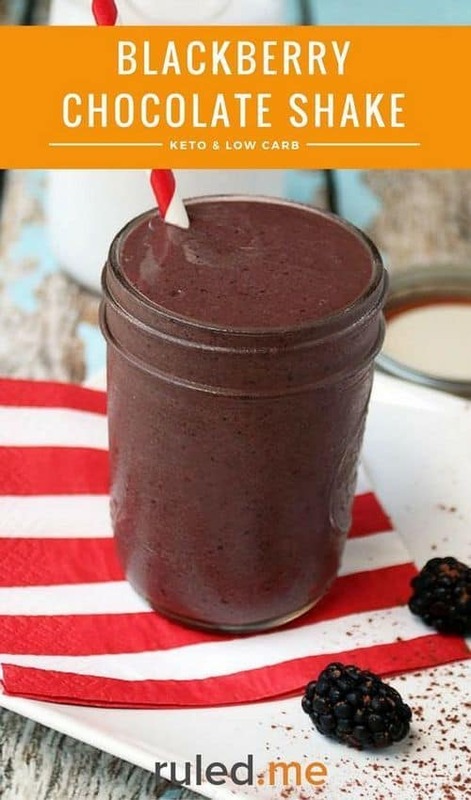 This breakfast shake requires just a few ingredients including unsweetened coconut milk, blackberries, cocoa powder, MCT oil and xanthan gum. This cold beverage will remind you of those chocolate covered berries from the specialty candy stores! If you made too many keto-friendly chocolate raspberry truffles this year, you can use them all up for a pre-workout shake. Lowcarb-ology made this Low-Carb Chocolate Raspberry Shake using chocolate raspberry truffles, chia seed, heavy cream, coconut oil, cream cheese and heavy cream. Don’t miss out this delicious drink, tastes just like your favorite Sonic shake! 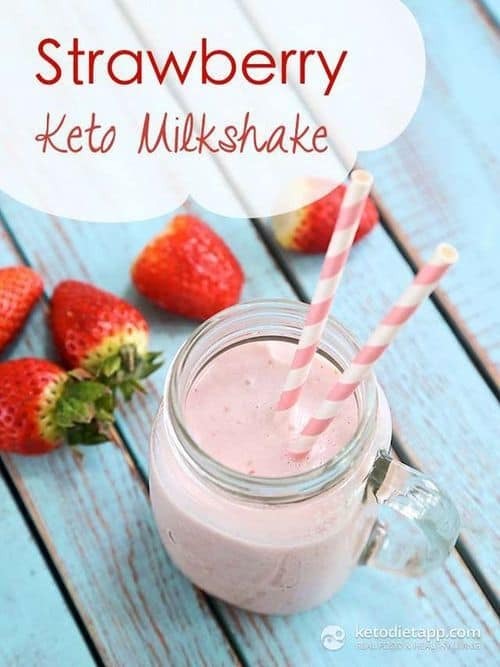 Switch up your morning shakes with this Strawberry Keto Milkshake from Keto Diet App! This recipe uses coconut milk, almond milk, strawberries, MCT oil and vanilla extract. Indulge in this sweet delight while staying in ketosis! 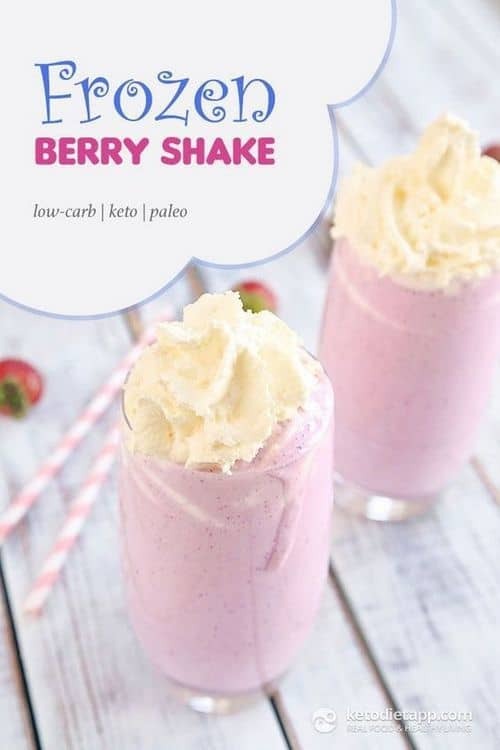 Keto Diet App offers another type of milkshake recipe for your breakfast – Frozen Keto Berry Shake. This recipe calls for coconut milk, almond milk, mixed berries and MCT oil. This luscious beverage is perfect to have on a hot day! Banana is not something we can enjoy without risking getting knocked out of ketosis. But, that doesn’t mean we can’t enjoy the flavor safely on keto diet. Hay Hay Life combined pure protein vanilla cream powder, unsweetened vanilla almond milk and sugar-free banana cream Jell-O pudding for this Banana Cream Protein Shake. Low in carbs, this mouth-watering Avocado Breakfast Shake is from Keto Is Verve. 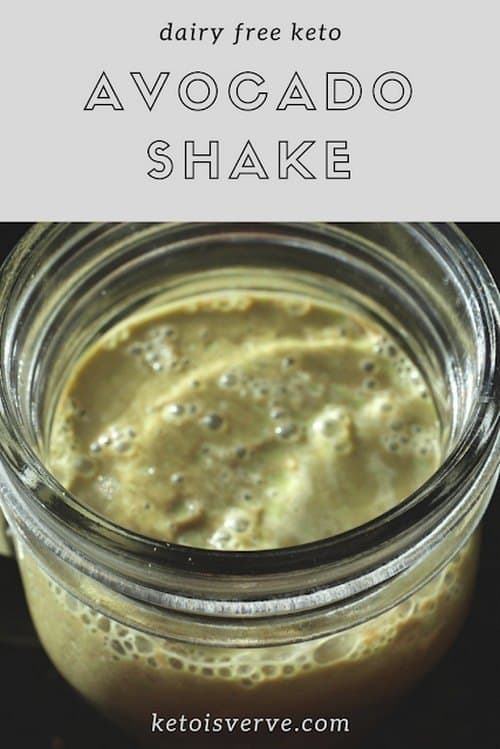 It is simply made with avocado, nut milk, protein powder, cacao, vanilla extract, and spinach. 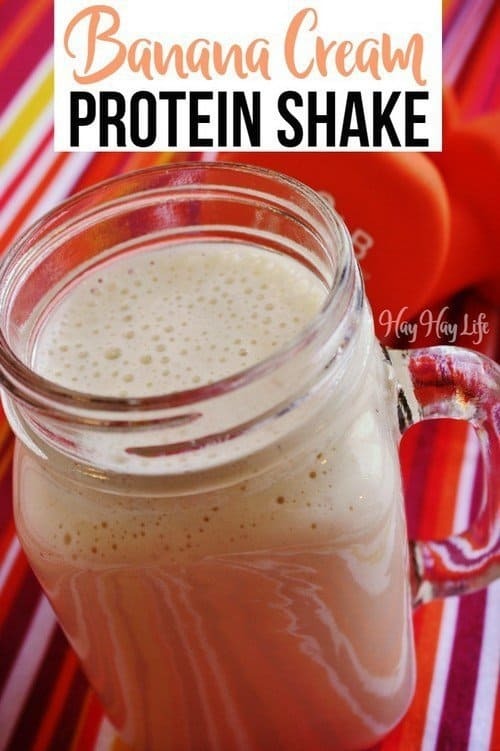 Whip up this milkshake the next time you need a quick breakfast! 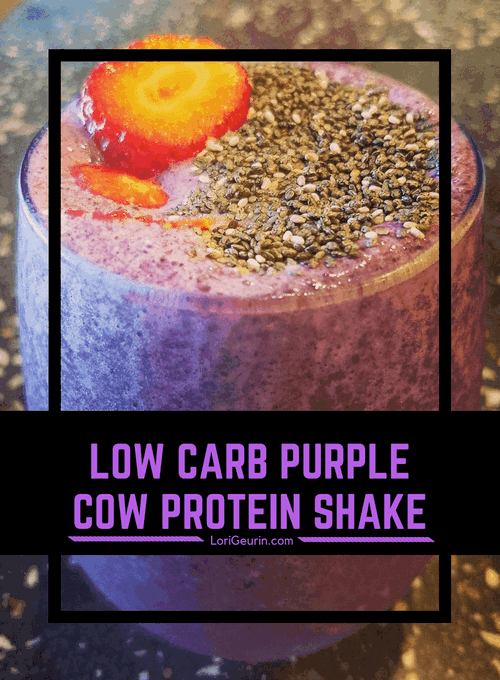 Ever had this exotic Low-Carb Purple Cow Protein Shake? The name sounds crazy but the actual drink looks vibrant and tastes absolutely yummy! Lori Geunin created this recipe with unsweetened vanilla almond milk, whey protein, strawberries, blueberries and chia seeds. Turmeric is versatile, used in savory foods and delicious drinks. 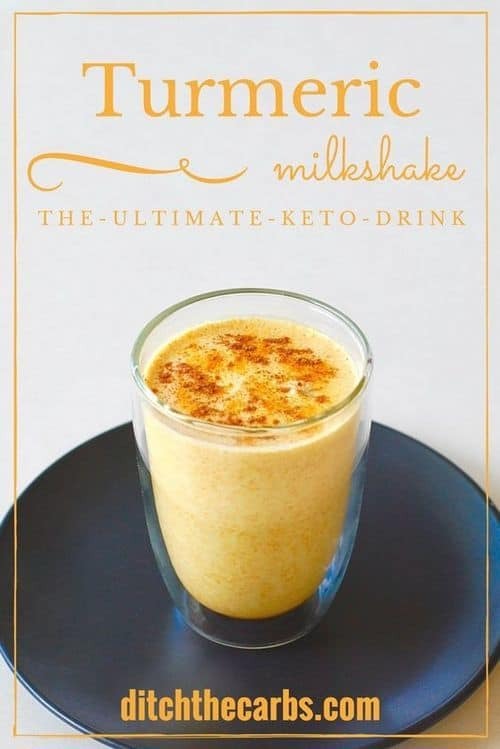 In this Keto Turmeric Milkshake; there are coconut milk, coconut oil, turmeric powder, ginger powder, cinnamon, and vanilla. Packed with flavors and antioxidants, this recipe from Ditch The Carbs is a must try! We hope you enjoyed our collection of keto breakfast shake recipes! Did we miss any of your favorites? Share your top picks in the comments below! 15 Mediterranean Diet Salad Recipes: Crunchy and Colorful! 15 Keto Frittata Recipes: Flavorful and Fabulous! 15 Keto Pasta Recipes: Flour-Free Noodle Dishes!